ILLUMINATION ADDS AMBIANCE AND STYLE: The rectangle outline LED border lights add soft Cool White illumination in the 3100K - 4500K color temperature (KELVIN) range and makes your reflection and smile brighter and clearer. 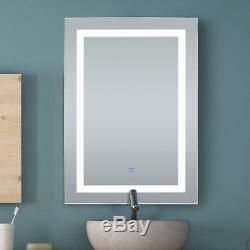 This HomCom Illuminated LED Wall Mirror adds a touch of contemporary style and soft illuminating light to any room. 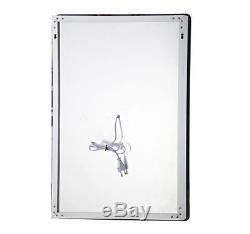 With an outlining light display, this mirror will illuminate your room, your face, and your smile. The touch sensitive on/off switch further streamlines the sophisticated look and makes brightening your day as easy as the swipe of a finger. 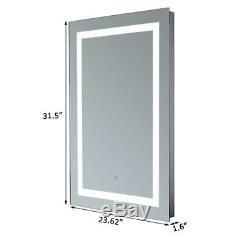 While it was meant to be a bathroom mirror, it can be used in bedrooms, closets, or in hallways to add extra lighting. 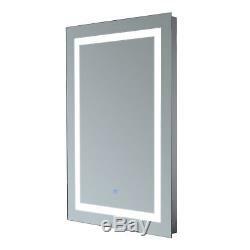 Outline illuminated bathroom wall mirror with energy-efficient LED lights - Cool White illumination in the 3100K - 4500K color temperature (KELVIN) range - Durable LED, glass mirror, aluminum, and PVC in a stylish modern design - Energy efficient design with touch-sensitive on/off switch - Ideal for bathrooms, but can be used effectively in any living space. Color: Silver - Material: LED, Mercury Glass, Aluminum, PVC - Overall Dimension: 31.5" L x 23.62" W x 1.6" T - Power Cord Length: 3 - Glass Thickness: 0.16" T - LED Power: 9W - Waterproof grade of PVC bottom box is IP44 - Waterproof grade of drive power is IP67 - Net Weight: 19 lbs. Messages left in the order requesting a change to a different item may be cancelled once reviewed. We are committed to offering our customers value-oriented items in Home Furnishings, Health&Beauty, Decor, Home Improvement, Office, Tool and Kitchen & Dining categories. We are always looking to bring new innovative items to our catalog so contact our Customer Service department with any suggestions you may have! Occasionally a warehouse is out of the product and the warehouse further from you will have to fulfill the order which could make the ETA up to 6 days. To ensure your package reaches its intended location. And you will be able to redirect your package(s). For items that are defective or damaged, Aosom may require pictures to help us determine the appropriate next step, which may be replacement parts, or a replacement unit. In this day and age, we understand people's time is valuable, so supplying pictures when you message us will help us assist you faster. 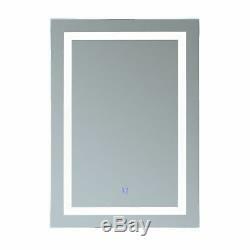 The item "HOMCOM 32 LED Bathroom Wall Mirrors with Illuminated Light Makeup Vanity Mirror" is in sale since Tuesday, September 5, 2017. 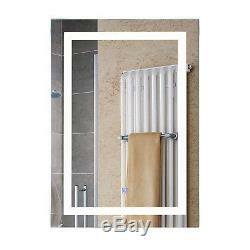 This item is in the category "Home & Garden\Bath\Mirrors". The seller is "epicsellers" and is located in Wilsonville, Oregon.